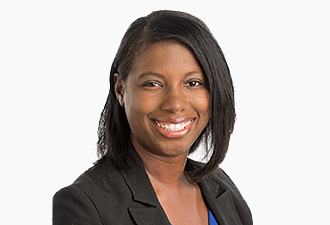 Crystal Grant joined the Duke Law faculty in 2018 after serving as a clinical fellow in the Pediatric Advocacy Clinic at the University of Michigan Law School. She earlier practiced public interest law in Michigan for seven years and served as an adjunct professor at Spring Arbor University. Grant’s research interests are in special education and using interdisciplinary collaboration to address the social determinants of health. She has represented children and their families in administrative hearings and federal court. She has provided continuing education for attorneys and medical providers on special education and related topics such as trauma informed care, bullying and the Americans with Disabilities Act (ADA). Her representation of students includes participation in IEP team meetings, Section 504 meetings, due process proceedings and administrative complaints. She has received favorable resolutions through the Office of Civil Rights and the Department of Justice. Grant received her MSW from the University of Michigan and JD from Michigan State University College of Law. She clerked for Judge Janelle A. Lawless of the Ingham County Circuit Court where she conducted legal research on family law, child welfare, and juvenile justice issues.